SEOUL, Nov. 10 (Xinhua) — South Korea's overseas direct investment grew 17.1 percent for the first nine months of this year on the back of demand for investment into China's Hong Kong and the United States, a government report showed Tuesday. Overseas direct investment by local players totaled 27.05 billion U.S. dollars during the January-September period, up 17.1 percent from the same period of last year, according to the Ministry of Strategy and Finance. Investment into Asia surged 46.6 percent to 10.75 billion dollars in the cited period, with those to Latin and North Americas increasing 11.2 percent and 3.8 percent respectively. Direct investment in China's Hong Kong skyrocketed 293.5 percent, with those to the United States and Vietnam surging 16.9 percent and 51.9 percent each. The Hong Kong investment surge came on the back of demand for investment into finance and insurance sectors and the transport industry, with the U.S. investment led by the finance and insurance industry and the wholesale and retail sector. Direct investment into Europe declined 9.2 percent in the nine months through September compared with a year earlier. Investment in China's mainland tumbled 10.5 percent amid economic slowdown in the world's No. 2 economy. 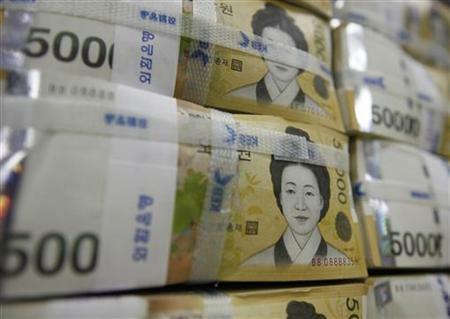 South Korea's overseas direct investment declined 13.3 percent in 2012, 10.2 percent in 2013 and 1.6 percent in 2014 each on a yearly basis.